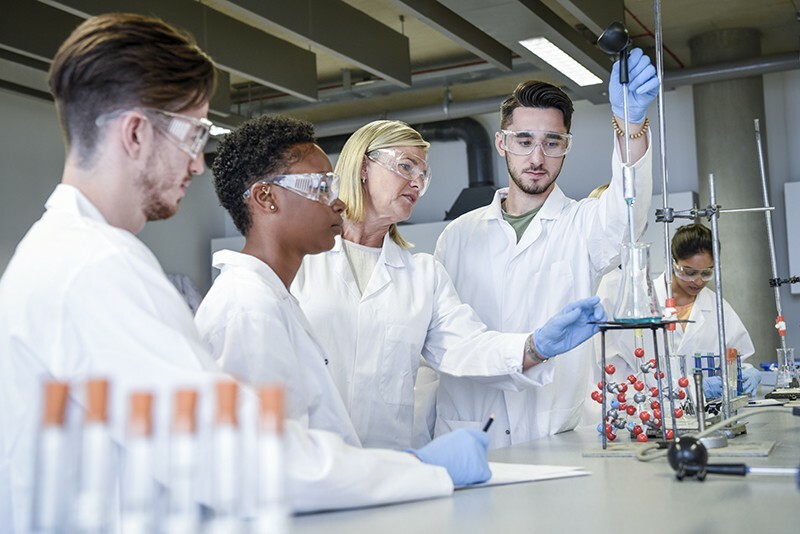 As part of a broad mission to prepare science students for careers outside academia, the US National Science Foundation (NSF) has expanded a funding initiative to support master’s and PhD students for six-month internships in companies, government laboratories and non-profit organizations. The INTERN supplemental-funding opportunity, launched last year for select departments within the NSF, will now be open to almost every graduate student supported by an NSF grant, says Prakash Balan, programme director in the NSF’s Directorate for Engineering. At a time when available US industry positions far outnumber job openings in US academia, the internships can give students real-world training for their futures, he adds. “Opportunities like this give students exposure and experience at a time when it matters most,” he says. The expanded programme provides up to US$55,000 to support a student for six months. The sum is meant to cover travel, tuition, stipends, materials and other expenses. The student’s supervisor can use up to $2,500 of the award to visit the site hosting the internship and co-mentor the student. The NSF has pledged to support up to 200 students in each of the fiscal years 2019 and 2020, although Balan says that more awards could be provided if the demand is great enough. To be eligible, students must have completed at least one year of their master’s or PhD programmes. Jennifer Weller, programme director of the NSF’s Directorate for Biological Sciences, says that she expects to receive many applications from biology students. “I’ve already had 20 phone calls asking for more details,” she says. Weller explains that she worked for five years in industry (at the biotechnology company PE/Applied Biosystems) before eventually returning to academia. Fostering the flow of talent and ideas between academia and industry should be a top priority for the agency, she says. Interest in the INTERN initiative goes both ways. The programme began after corporations contacted the NSF asking for help finding student interns, Balan says. Those requests encouraged the agency to think how best to connect graduate students with industry. In another outreach effort, the NSF is seeking submissions for its 2026 Idea Machine, a competition to elicit big ideas for future research projects. The agency is looking for ambitious visions within the fields of science, technology, engineering and mathematics. “We’re crowdsourcing the best and brightest ideas so we know what the community’s thinking,” Balan says. The agency plans to award two to four winners $26,000 each, with the possibility that the winning entries would trigger long-term NSF investments. The competition, which is open to members of the general public as well as to scientists, will accept suggestions up to 26 October.